Eugene locals, outside of FFLC, have also done their part in eliminating food waste. Gabe Marcelo, a University of Oregon business major, is in the process of building a business called Compost Crew. The objective of Compost Crew is to give apartment residents the opportunity to compost their food waste and to educate the community on how to compost. He is currently in the trial period of his business to learn the logistics to ensure a successful future for his business. Marcelo is recruiting 30 people to participate in his trial, in which he will provide participants with buckets to discard their food waste and a weekly newsletter about composting. The next phase is Marcelo collecting and taking the buckets of composted food to Urban Farm, a garden located near the University of Oregon that allows community members to grow and compost. He has also taken it upon himself to learn more about composting by attending classes, like Seed to Supper at FFLC. “A mentor told me that the way toward sustainability is through education and my goal is to help the environment and society through business,” Marcelo said. While FFLC and its partnered agencies have worked toward eliminating local food insecurity, Oregon remains the sixth worst state on a national level for food insecurity. According to Bassi, FFLC and its partnered agencies are using “Band-Aids in a broken system,” in which all aspects of poverty must be addressed to end food insecurity. FOOD For Lane County has paired with other major county food banks throughout the state of Oregon. The 150 food banks, including Marion Polk and Linn Benton Food Share, meet on an annual basis to discuss opportunities and methods to improve distribution rates. The network was initiated over 20 years ago with Feeding America, a national hunger-relief organization, leading the way. Because the network is not an official organization, it is up to the leaders of each food bank to take initiative to meet. The scattered population of Oregon makes the food bank network effective. According to the Oregon Department of Agriculture, the top 10 agricultural producing counties are predominantly located in the northwestern and northeastern regions of Oregon, such as Umatilla and Morrow County. With higher population sizes residing in the western area of Oregon and high agriculture production happening in the north, this means donated produce from farms are limited on the western region of Oregon. The food bank network divides resources by population size, allowing all food banks throughout the state to have equal access to produce. Although FFLC is in an area that doesn’t have as much access to fresh produce from farms, compared to the northern counties, it’s able to increase its produce consumption by 30 percent through partnerships with grocery stores. GrassRoots Garden volunteer Sarah van Dyck helps break up pieces of soil for new crops to be planted. Van Dyck emphasizes that there is a always job for people of all ages and abilities. 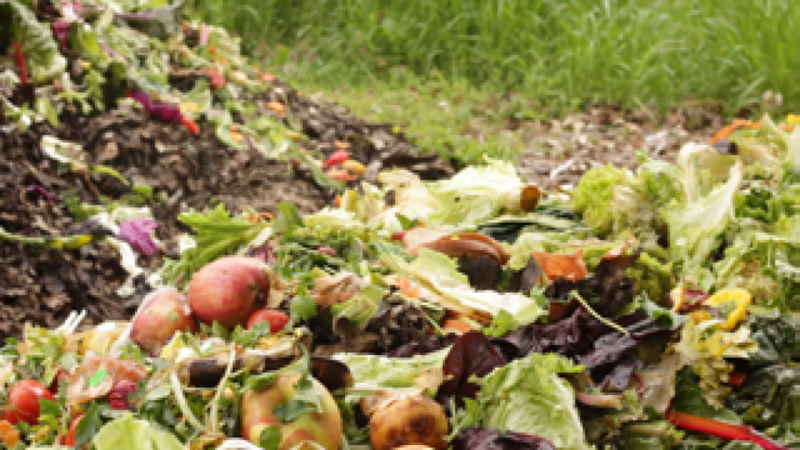 Sending edible or rotten produce to landfills is no longer an option at FFLC. Through its gardening program, the nonprofit follows three rules: source reduction, feed hungry people and composting. 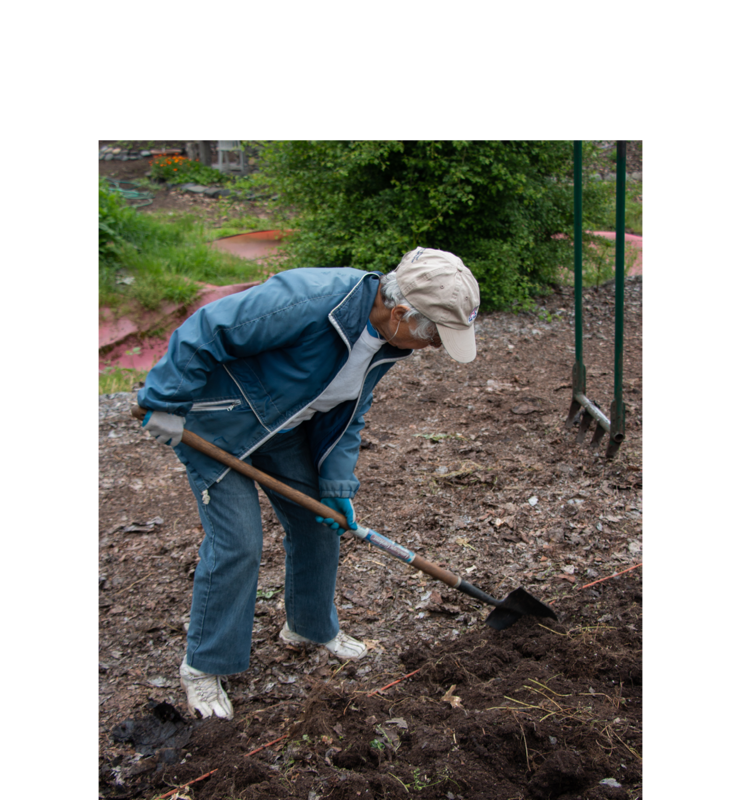 The program invites people of any age to volunteer at one of its two gardening locations. The volunteers learn how to plant vegetables and fruits and how to compost. At the end of the harvesting season, all volunteers can take as much food as they want. Once the volunteers get their pick, the rest of the food is donated to FFLC and its partnered agencies. At the same time, food waste is being reduced through the nonprofit’s efforts in only producing food that will be used, donating it to people in need and, when the food rots, composting it to be repurposed for the next harvest. FFLC has built its gardening program in a cost-effective way. According to Anonia, the garden received most of its equipment, including PVC pipes, wheelbarrows and shovels from a variety of farms. The City of Eugene also participates by donating roughly two pounds of leaves per week, which helps with FFLC’s composting. However, both gardens would not exist if it weren’t for the volunteers. 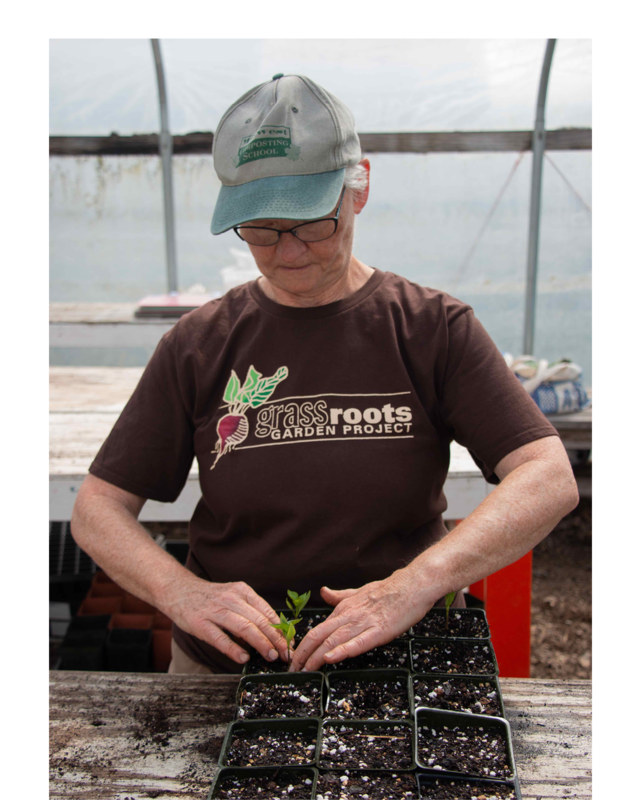 Volunteers have been an instrumental piece in maintaining the stream of vegetables that are produced by the gardens. It’s important for the community to be involved with local food programs to ensure food security and lower food waste in the area.